Staff Sgt. Jorge M. Oliveira died at Yahya Khel, Paktika Province, Afghanistan when insurgents attacked his unit with an improvised explosive device. 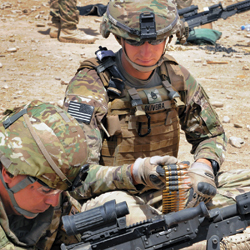 The Soldier was dismounted and conducting a route reconnaissance when the explosive device detonated. 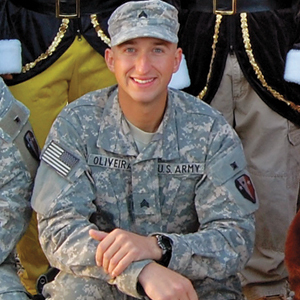 Oliveira spent three years on Army active duty with the 101st Airborne Division before joining the National Guard in 2003.
economic and social development in the region. 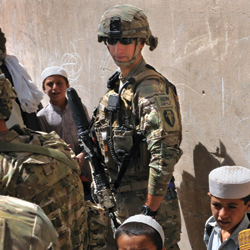 Rieth said Oliveira was one of the most seasoned noncommissioned offi cers on the deployment, having served on a detainee operations mission to Guantanamo Bay, Cuba in 2004, in response to Hurricane Katrina in New Orleans the following year and a yearlong combat tour in Iraq with the 50th Infantry Brigade Combat Team in 2008-2009. His awards and decorations include the Bronze Star Medal (Posthumous), the Purple Heart Medal (Posthumous), Army Achievement Medal, Army Good Conduct Medal, Army Reserve Component Achievement Medal, National Defense Service Ribbon, Armed Forces Expeditionary Medal, Afghanistan Campaign Medal, Iraq Campaign Medal with two campaign stars, Global War on Terrorism Service Ribbon, Armed Forces Reserved Medal with "M" Device (3rd Award), Non-commissioned Officer Professional Development Ribbon, Army Service Ribbon, NATO Medal with ISAF Clasp, Combat Infantry Badge, Expert Infantry Badge, Airborne Badge, Air Assault Badge, Ram's Head Device.